The futuristic One-Off 540K Streamliner gets a second chance at life. Here are some facts that make this car a legend. 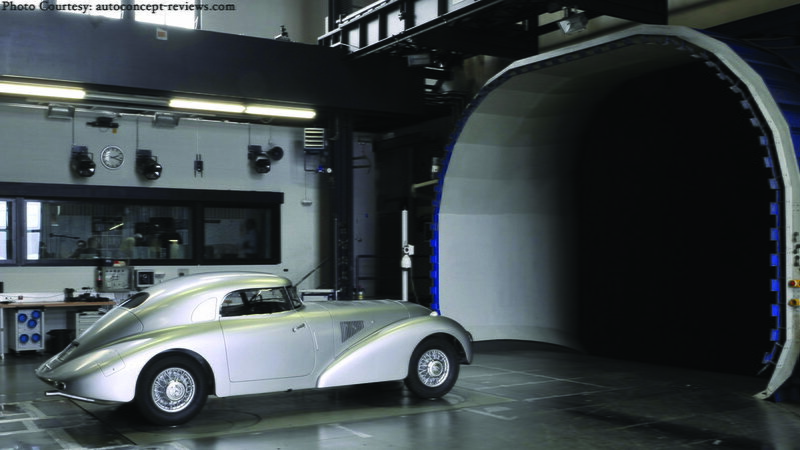 In the 1930s, automotive engineers had just started mastering the art of aerodynamics. 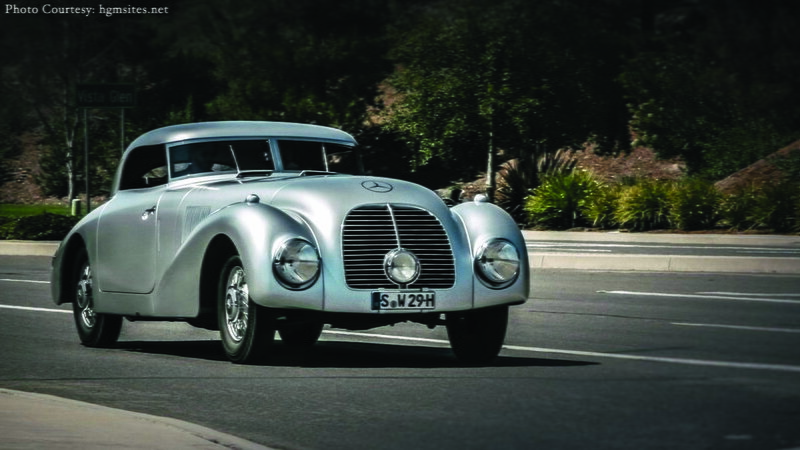 A special vehicle production unit under Hermann Ahrens created the 540K Streamliner, a masterpiece of aerodynamics, and the main objective of this vehicle was to win the Belin Rome long distance race. 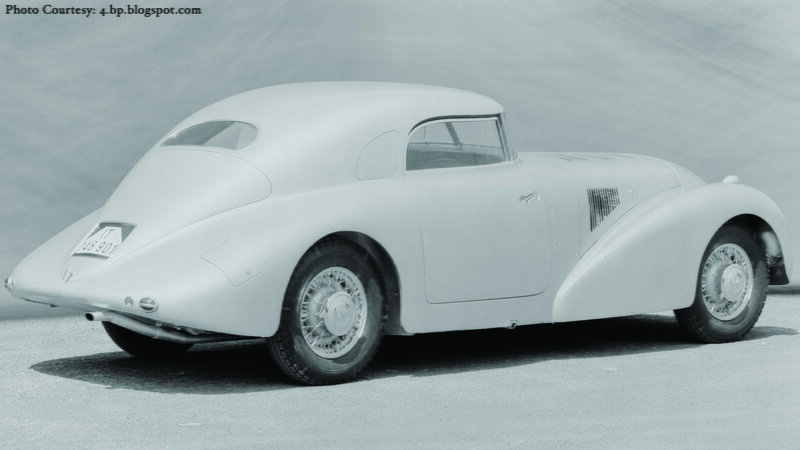 This car was the first to combine an extremely aerodynamic design, with a tremendously visually-pleasing shell. 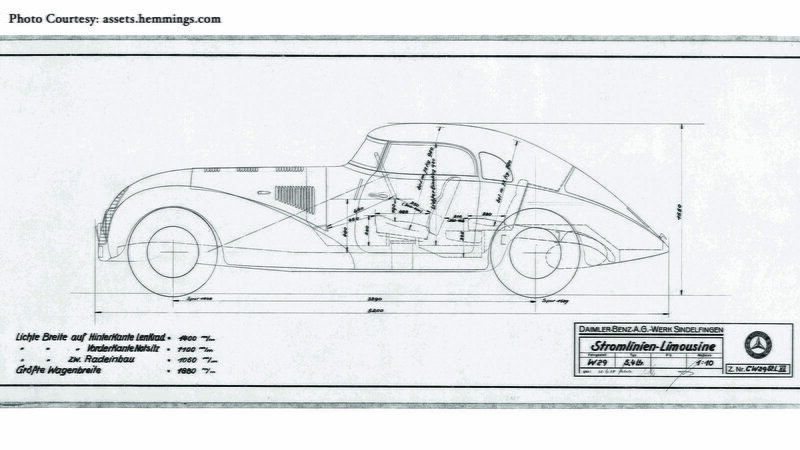 >>Join the conversation about the Facts about the One-Off 540K Streamliner right here in the forum. Although the 540K was designed to compete in the Berlin-Rome long-distance race, it was used as a test vehicle for high-speed Dunlop tires. Dunlop needed a fast vehicle to test their tires on the race tracks, and the Streamliner was it. Reconstructing the legendary 540K was not an easy process. Numerous components had been lost over the years, and even though the original line drawing design was available, a few traces remained, and the aluminum shell had to be reconstructed completely. 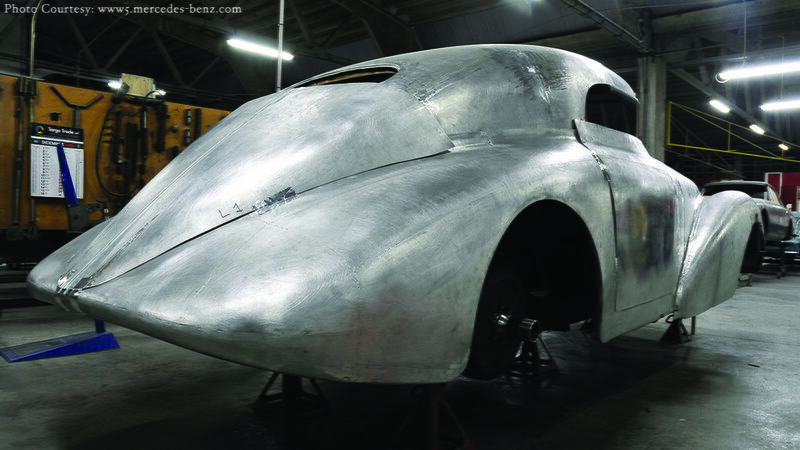 The restoration of the Streamliner was no picnic, as the legend needed an extensive amount of work. In the end, over 4,800 hours went into restoring the vehicle. The whole restoration process was documented, and every person that was a part of the journey was questioned and documented. After 4,800 hours, it was time to enjoy the fruits of labor. On the high-speed course of Papenburg, the Streamliner was about to be tested. The project manager sat behind the wheel and got to experience first-hand whether the years of hard work had paid off, or not. The Streamliner was able to reach 167.97 km/h, which translates to 104.2 mph. After installing the supercharger, the Streamliner reached 185.57 km/h, 115.3 mph. It is safe to say the restoration of the 76-year old car was a success.